Simplify3D is one of the most popular brands of 3D slicing software, and released its most recent version less than a year ago. It’s compatible with a wide range of 3D printers, and now users of FlashForge 3D printers will benefit from the comprehensive software’s upgraded package thanks to a new partnership between the two companies. The partnership enables FlashForge to offer new hardware and software combinations for professional users, as Simplify3D software will now be offered along with FlashForge Dreamer and Creator Pro 3D printers. FlashForge is one of the more mature companies in the 3D printing industry; in fact, it was one of the first to begin offering desktop 3D printers. 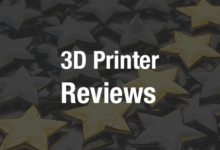 The Dreamer and the Creator Pro have been popular models, each winning multiple awards and consistently ranking high on 3D printer rating lists. The combination of FlashForge hardware and Simplify3D software is a powerful one, and will allow users of FlashForge 3D printers to have more control over the 3D printing process, allowing for new applications and better print quality. The new FlashForge and Simplify3D partnership represents the meeting of two popular brands in their respective areas of the 3D printing industry. Users appreciate Simplify3D for its versatility, working with so many different 3D printer models in the desktop sector, as well as, as its name suggests, its simplicity. It can easily manage multiple 3D printers and is a commonly used program by engineers and other professional users who need to manage complex workflows with ease. Simplify3D streamlines the 3D printing process while also providing numerous options for customization, allowing it to offer an all-around positive 3D printing experience. The new Simplify3D product offerings are now available directly from FlashForge’s website.